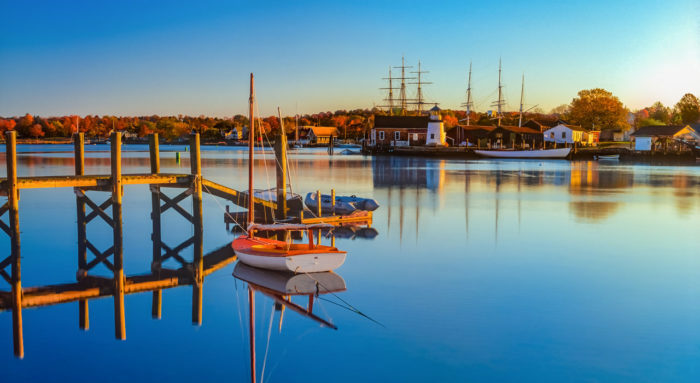 Autumn is a wonderful time of year in Connecticut. 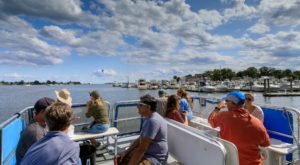 Apple picking, pumpkin carving, and scenic hikes are tried-and-true activities that we all love. 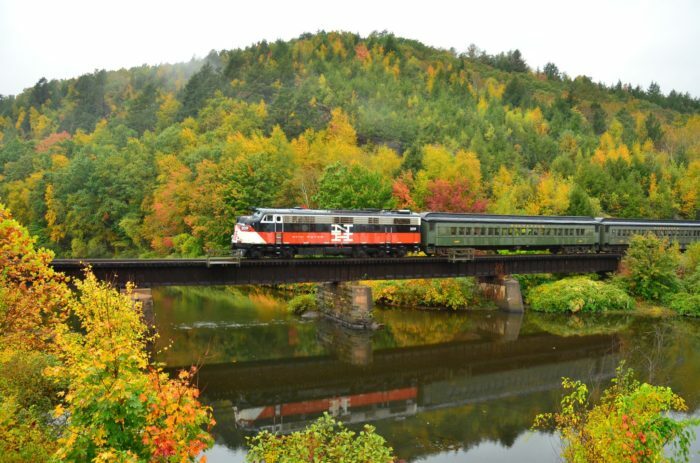 A more unique way to capitalize on the season is to hop aboard one of these ridiculously charming train rides. Each is distinctive and special in its own way and you’re sure to find at least one you’ll love to ride. All aboard for a 12-mile journey through the countryside. 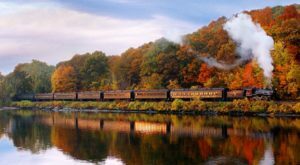 This historic steam train is a relaxing way to take in the autumn colors as you pass through charming towns and along the riverbank. 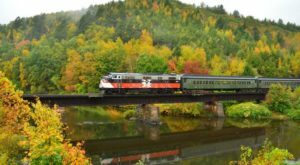 Fall Foliage trains run daily through October 21 departing at 11 a.m., 12:30 p.m., 2 p.m., and 3:30 p.m. Find the station at 1 Railroad Ave., Essex, CT 06426. Learn more about this autumn excursion here. Facebook/Buttonwood Farm Ice Cream Inc. 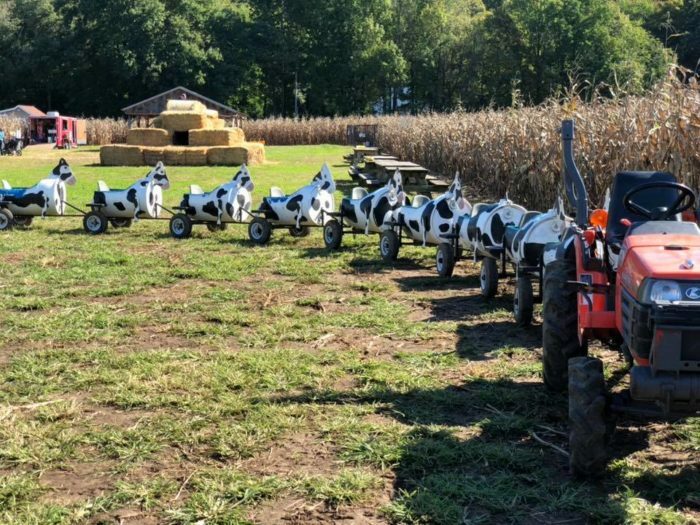 While this super cute tractor-pulled cow train may seem like it's just for kids, adults can easily fit into the passenger seats too! Take a short ride around the farm and then join in some fall fun. Visit the pumpkin patch, get lost in the corn maze, savor homemade ice cream and much more. Fall activities are running on weekends from 10 a.m. - 6 p.m. until October 28th. 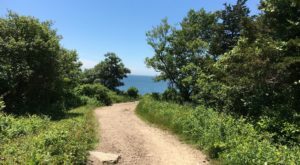 Find Buttonwood Farm at 473 Shetucket Tpke., Griswold, CT, 06351. Learn more about all of the autumn happenings on the farm here. The Pumpkin Patch Train is an enchanting family outing. Ride along the Naugatuck River and up to the Thomaston Dam. A bright and bold show is just outside the window. The train also stops at a pumpkin patch where kids get to find their perfect pick. Trips run on weekends in October. 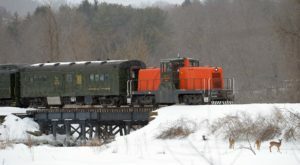 Catch a train at the Railroad Museum of New England station at 242 E. Main St., Thomaston, CT 06787. 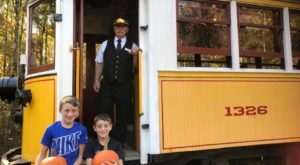 Find out more about this family-friendly railroad ride here. 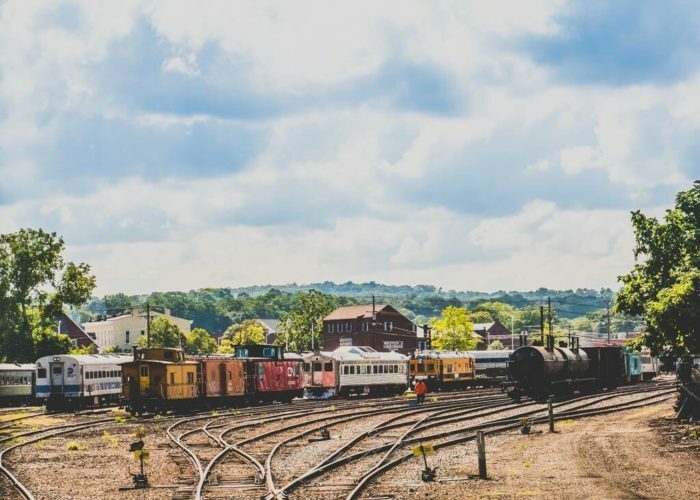 Take a tour of the historic rail yard by train at this train museum. The 20-minute ride includes a spin on an active turntable. 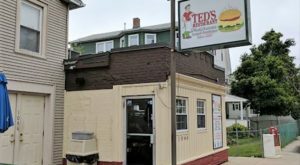 Kids will love seeing all the old trains at this spot. The Railyard Local runs on weekends and from October 13-28 include a visit to their pumpkin patch where kids can pick out a free pumpkin. Visit the Danbury Railway Museum at 120 White St., Danbury, CT 06810. Get more information here. 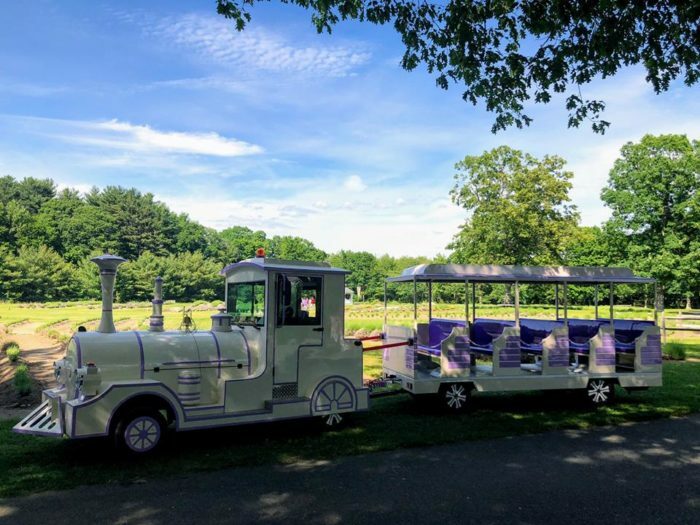 Ride a whimsical purple train on a tour of this lovely lavender farm. The scenery is picturesque as can be on the 25-acre property. Lavender Pond Farm is open daily from 10 a.m. - 4 p.m. The train schedule changes seasonally, so check their website for details. 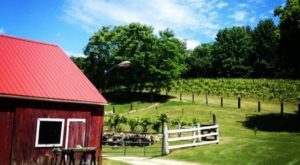 Visit Lavender Pond Farm at 318 Roast Meat Hill Rd., Killingworth, CT 06419. 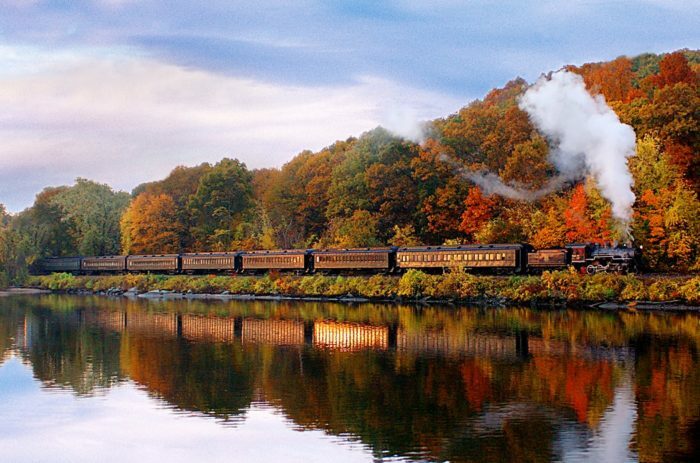 Have you ever hopped aboard one of these charming train rides? If you’d rather be out stretching your legs, check out this beautiful fall hike.